Dreher Bak. “7.3% – dark, malty – old on steroids. Sweet, too sweet” so states my tasting scrawls. 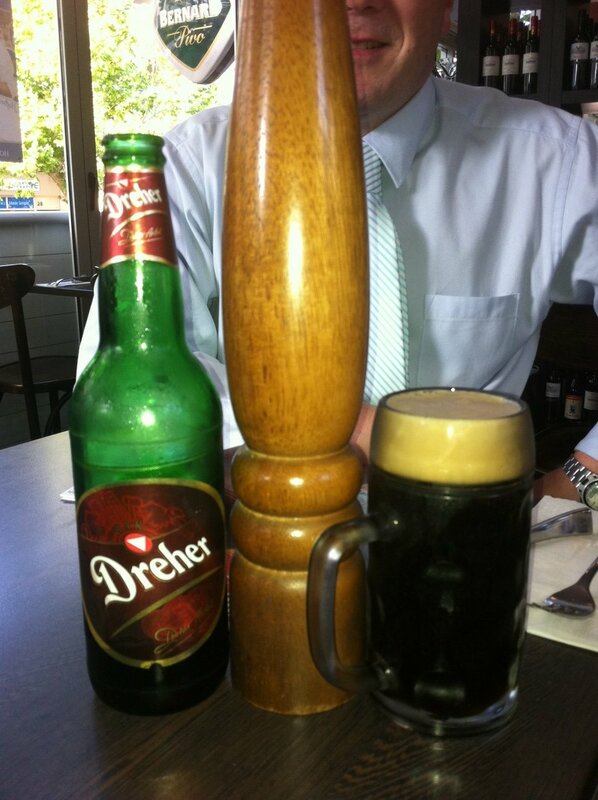 Dreher is a Hungarian beer from the Dreher Brewery in Budapest. BotF is usually a fan of both the dark, bok beer styles and the Eastern European penchant for generous alcohol content and standard bottle sizes (500mL in this case). However, this beer was too sweet. It started with a dark, chocolately flavour but finished as molasses.